Cowan's is honored to present the Magnificent Sword Collection of William Koch in its two-day firearms, militaria, and American history auction. On Tuesday, October 30, the Historic Firearms & Militaria: Premier Auction includes the bulk of the Koch Collection as well as an excellent selection of rifles, pistols, uniforms, powderhorns, edged weapons, and accoutrements. In addition to the Koch Collection, lots of particular interest include several excellent factory-engraved Colt Single Action Army revolvers, highlighted by a Long Flute Cylinder model presented to New Orleans Police Department Superintendent James E. Reynolds (Lot 270). Also featured in this exclusive auction are a second model Henry Rifle (Lot 322), a Republic of Texas diplomatic sword (Lot 304), and numerous fine American and European Bowie Knives. 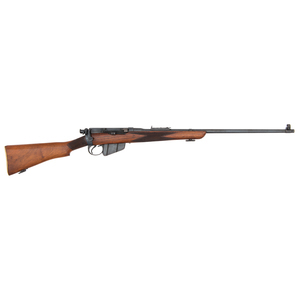 Mixing the historic and the contemporary, also being offered for auction is an award-winning custom Pennsylvania long rifle made by famed gunsmith Hugh Toenjes (Lot 409). As if gold and silver inlay, scrimshawed polychrome ivory and deep oval style rifling weren't enough, this truly one-of-a-kind rifle includes a handmade fitted case with over ten meticulously crated accessories. On Wednesday, October 31, the Treasures of the Civil War: Premier Auction features an assortment of historic firearms, edged weapons, and militaria along with historic documents, broadsides, textiles, and early photography from the Civil War era. 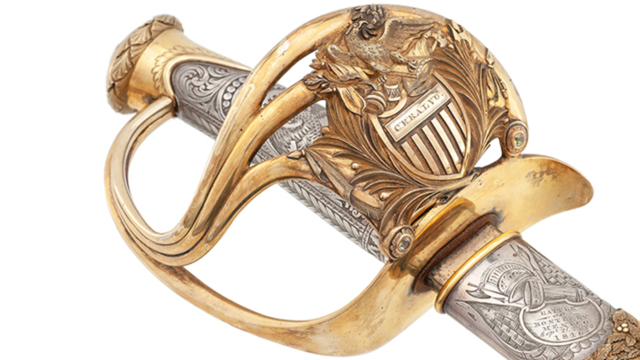 This sale also includes select items from the Magnificent Sword Collection of William Koch including a scarce Firmin & Sons dolphin-headed naval officer's sword, produced in Great Britain during the American Civil War and sent through the Federal blockades to support the Confederate war effort (Lot 802). The Civil War Photography section is highlighted by a quarter plate tintype of Robert E. Lee on Traveller, by photographer A.H. Plecker (Lot 551), and also includes a rare tintype image of an African-American soldier on the USCT (Lot 535). 20% for bids placed on bidsquare.com and other 3rd-party online bidding platforms.